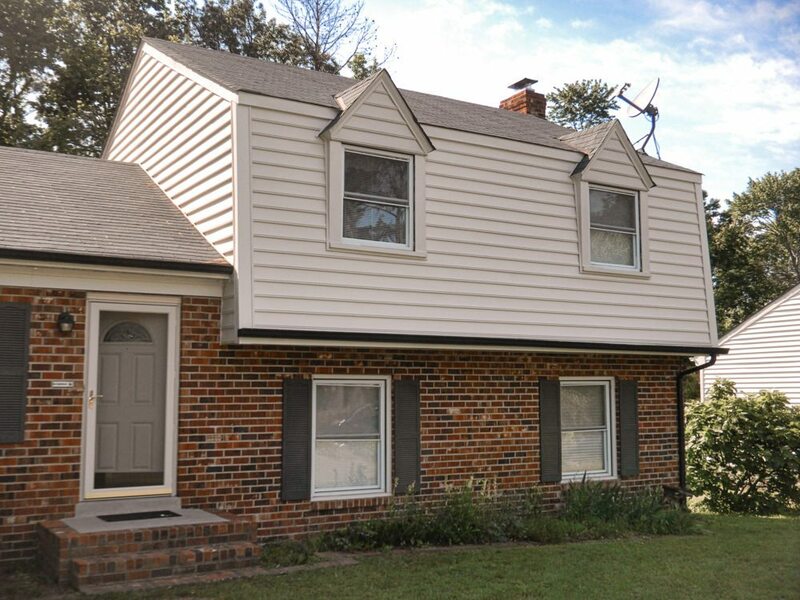 Before and After photos of a siding project on a Gambrel roof in Midlothian. Siding can really make a difference on your house. You can see in the picture below that the shingle on the front of this gambrel roof as loose and unsightly. 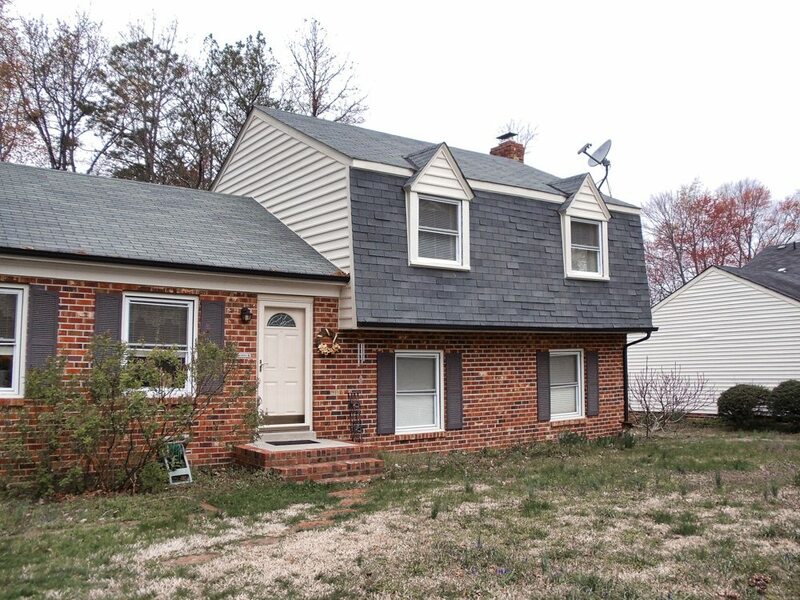 We removed the gutter and all of the asphalt shingles from the front of the home . Area was inspected for any rotten wood and replaced as needed. New 1 x 4 wood boards were placed at the corners and wrapped with PVC aluminum trim coil. A vapor barrier was installed on the plywood sheathing before the siding. The vinyl siding we used was a matching Alside Centennial beaded style. All accessory J-channel trim was caulked to create a weather tight seam. Visit our contact us on the website and we will be back to you as soon as possible. Also, visit our Siding Section of the website to see examples and our finished jobs. Click here to get a quote.